Whether you are building or remodeling, Dirt Cheap Building Supplies is sure to have something for you. Dirt Cheap Building Supplies offers new, high-quality building supplies 40% to 90% off the regular retail price. Looking for great tile, crown moulding or light fixtures but on a budget? 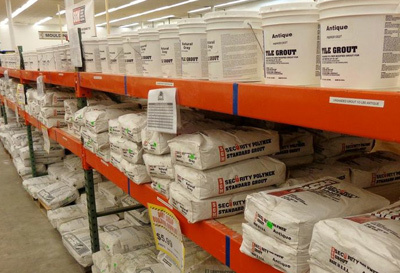 Dirt Cheap Building Supplies allows you to purchase the same items you see in typical building supply stores, but for a fraction of the regular price! Our buyers travel the country purchasing building supplies from bankruptcies, overstocks, unpaid orders, cancelled housing/business developments where supplies were already purchased, salvage claims, seconds or "B" grade material generated during normal manufacturing processes, and closeouts. We purchase large quantities of supplies, getting them for a fraction of the retail price so we are able to pass those savings on to you. What Kind of Things Will You Find at Dirt Cheap Building Supplies?